HomeDefenceAir‘Fee for capability’ the way to fly for RNZAF? ‘Fee for capability’ the way to fly for RNZAF? Would a RAF fee-for-capability model make sense for the RNZAF? According to Ross Browne, Director of Triplex Consulting and a former commercial advisor to the NZDF, Defence needs to dramatically simplify its operating model. Commercialising some suitable non-tactical capabilities, he writes, offers the chance to do just that. With New Zealand’s P-8 decision announced, the next major capability decision is the configuration and mix of the air transport fleet. 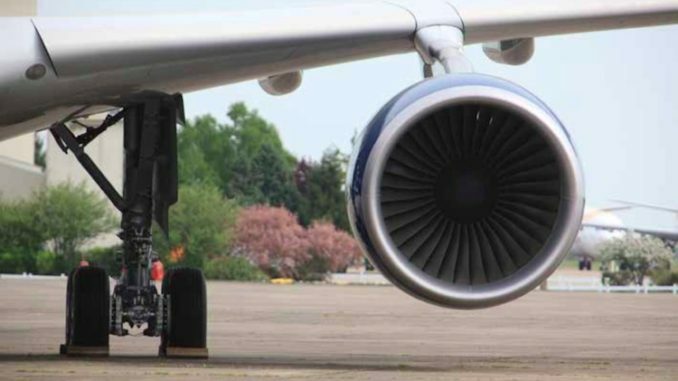 Unlike the C-130’s airworthiness limits, the projected withdrawal date of the Boeing 757 fleet is based on predicted increases in operating costs. 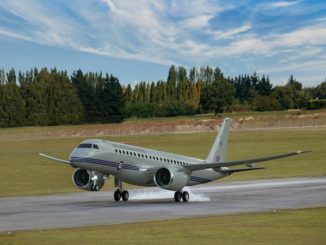 But early replacement of the 757 would also help the RNZAF simplify operations, enhance capability, and focus on tactical roles. The Boeing 757 fleet came under heavy criticism in Sir Roderick Deane’s Value for Money review in 2009. This criticism was based on the lack of utility the expenditure delivered. Without defensive equipment, the Boeing 757 offers nothing to New Zealand that can’t be obtained at much lower cost from commercial charter. New Zealand Defence spending aims to achieve maximum overseas political impact, while minimising domestic political damage. Aircraft limited to commercial-type tasks will remain targets of public criticism. Military aircraft must therefore be able to perform more than just ‘commercial’ tasks to be valued by politicians and the public. A requirement for long range is clear. 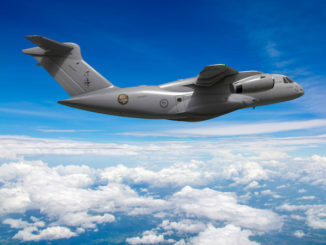 White papers have described the need for a strategic transport aircraft to complement the tactical transport fleet by providing superior range and speed. Range and speed requirements defeated the arguments for additional C-130s in 1980, when the RNZAF chose to introduce the 727 instead. More recently, successive governments have increased their emphasis on the Southern Ocean and Antarctica. Since a whiteout landing incident in 2013, it appears a political consensus has been reached: we need a transport capability that can travel to and from Antarctica without needing to land. Antarctica’s Pegasus Field is approximately 2,100NM (4,000km) from Christchurch. Without landing this leads to a range requirement of 4,200NM with a ‘useful’ payload. This range puts any commercially derived replacement in the widebody jet category and is comparable to a direct flight from Auckland to Darwin or Singapore. While moving fresh cabbages and a few scientists are not critical military transport tasks, robust sovereign capability in the Antarctic has important diplomatic and political benefits. Whatever its range, a simple passenger transport offers little benefit over commercial charter. Adding air-to-air refuelling capability would dramatically improve both military and diplomatic usefulness. Multi-role tanker transports are increasingly common and offer a large boost in utility for a modest increase in cost. Both for benign and warlike tasks, allies rarely have enough tankers to meet demand, and the ability to contribute a tanker to coalition operations would be valued. Tankers add range, endurance and payload to other aircraft. Supported by tanker aircraft, the P-8 could operate at the extreme edges of New Zealand’s area of interest, more than doubling on-station endurance 2,000km from base. Or in rough terms, it would allow a P-8 to fly to Tonga, remain on station for well over 8 hours, and fly home again without landing. The RAAF is considering adding a pair of A330 MRTTs (‘Voyagers’) to its fleet specifically to support the P-8, bringing its total to 9. P-8 deployments will need significantly more support than the Orion. As well as routine spares, a Mobile Tactical Operating Centre (MTOC) is also needed. The MTOC provides the essential link back to New Zealand, supporting pre-mission planning, secure communications, operational data uploads to the aircraft, and processing the enormous amount of data a P-8 sortie generates. The MTOC alone weighs 29,500kg — well above what tactical transports can manage. Various aircraft could perform the MRTT role, but Airbus A330 variants are operated by the United Kingdom, Saudi Arabia, United Arab Emirates, Singapore, South Korea, France and Australia. It is clearly the market leader. Proposals for a New Zealand tanker capability are nothing new. In 1984, Air Staff directed a conversion study for the C-130, considering Lockheed and Marshall Aerospace options. Around this time Lockheed also made an unsolicited proposal for the KC-130. Later that year, staff papers record an offer to the RNZAF of 3 second-hand Boeing 707-320C and conversion to tanker-transport configuration. An option was also provided for a third 727 and conversion of this and the two existing aircraft to tanker configuration. The prices quoted were NZ$61M for the 707 option and NZ$71M for the 727 (or roughly $182M and $212M in today’s dollars). A foreign exchange crisis, a precipitous change in the relationship with the United States and additional budget pressures are the likely cause of these plans being eventually cancelled, despite appearing in the 1987 white paper. In the United Kingdom, Air Tanker Ltd operates the A330 MRTT for the Royal Air Force. The RAF retains full operational control of the aircraft, with Air Tanker providing fleet planning and control, operational planning, maintenance, dispatch and crew. The aircraft move between the military and civil registers and are maintained to European Aviation Safety Authority standards. The blended workforce includes civilians, RAF and special reservists. Civilian crews become active reservists when operational demands dictate. Following a commercial model similar to the United Kingdom, New Zealand could adopt a turn-key solution. A ‘fee for capability’ would provide clear measures of effectiveness, and scalable rates of effort independent of military workforce challenges. Most importantly, such a model would let the RNZAF focus on activities best delivered by military transport crews — operations requiring tactical proficiency. 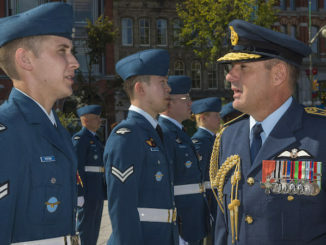 The United Kingdom model combines military and civilian crews according to operational demands, in many cases by the same crew swapping uniforms. The appeal of a fee for capability approach is strengthened by the existing commercial operator supporting the RAF. Assets could potentially be pooled to achieve required levels of effort. RAF surge capacity operated by Air Tanker Ltd is currently leased to an airline. As well as freeing up capital, a fee-based model would lead to a welcome reduction in the maintenance burden shouldered by the RNZAF. Outsourcing management of one aircraft type would free up personnel to train on P-8 or the future tactical transport without losing support for legacy platforms. Similarly, aircrew would be freed up for new types, all of which will have a steeper learning curve than a strategic transport. The overall opportunity is to simplify operations, enhance capability, avoid a critical-path replacement schedule and gain some synergies with our allies. The NZDF needs to dramatically simplify its operating model. Commercialising some suitable non-tactical capabilities offers the chance to do that. KC-46 Pegasus or KC-30 MRTT in RNZAF service yes, but as “Fee for Service Capability” – definitely not. In the long term it would not be value for money because the requirements of the owner would inhibit NZ govt and RNZAF use of the aircraft and could provide legal and potential life threatening issues for any civilian aircrew in a combat zone. From my own reading of various informal sources the UK model has not worked as planned with cost overruns and problems in availability. The other thing to remember about UK Defence acquisition is that it is not what one would consider an example of best practice by any stretch of the imagination. If NZ was to acquire such a capability it would best be owned and operated by NZDF. However NZDF is penalised by the Treasury Capital Charge on any assets it acquires. From memory, such aircraft are deemed to be sovereign NZ territory when outside NZ territory and as such they should be only owned and operated by the Crown. Secondly new capabilities outside of the core capabilities are being added to KC aircraft, especially by the RAAF, such as communications node, EW, some ISR etc., enabling them to operate in a multi-domain warfare environment giving them a considerable force multiplier role, so definitely do not want an outside civilian party in control of the capability.